Kapil Mandawewala, the founder and CEO of Sajeev Fresh, never imagined that he would leave a high-flying career in San Francisco to farm a 22-acre plot in a small village in Gujarat. Yet the fruits reaped from his efforts turned out to be sweet — not just for him, but also for the residents of New Delhi and Gujarat. “Freshness is a key factor, even if your produce is not organic. 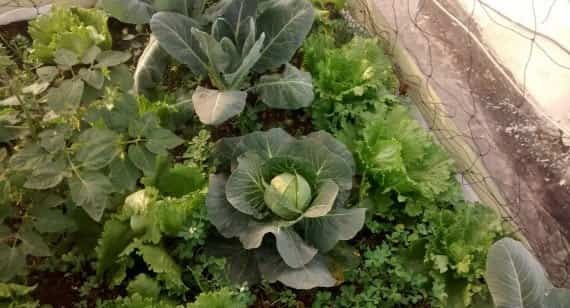 In 24 hours any green produce will lose half its nutritional value – it’s really about how soon you eat it after it’s been harvested,” reveals Mandawewala, whose Delhi-based outfit applies organic, biodynamic and permaculture principles to create kitchen gardens for individuals and organisations, and is driven by a need to impact people’s health positively. Working on anything from one-acre to 200-acre plots, he encourages people to grow their own fruits and vegetables, and even crops. Freshness is a key factor, even if your produce is not organic. When the 34-year-old took up farming eight years ago, he realised that Indian consumers, unlike their predecessors didn’t know where their produce came from, let alone who was growing it, or how. By reaching out directly to his customers through what he refers to as a farm-to-folk concept, he discovered the additional benefit of eliminating exploitative middlemen. His first crop of tomatoes fetched him Rs 2 per kg, but were ultimately sold to consumers for Rs 10 per kg. “I couldn’t believe it!” he exclaims. “By switching to direct delivery our yields jumped without even charging a premium… in fact sometimes our rates were lower than market prices, and that made customers happy as well,” he says. Last year Mandawewala’s team of five completed 150 projects. Currently they are creating gardens for the National Centre of Autism, and an IIT institute in Gandhinagar. “The director called me, and said he wanted to grow some edible trees. So we’ve planted several fruit trees that can give some productivity over just a few years,” he says. 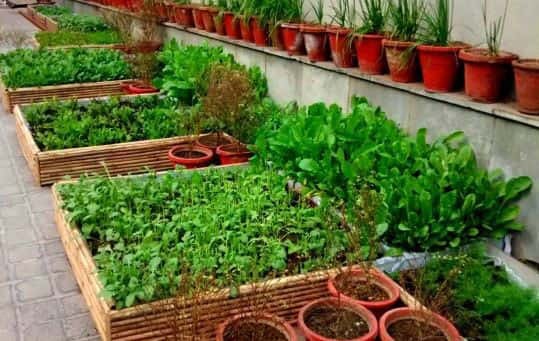 Mandawewala encourages his students, and clients to employ natural foresting techniques such as planting five different items in one space –- “this creates a natural synergy and interaction between the plants, helping them grow” – or using additional greenery, flowers and air-purifying plants to aid overall growth. “For instance, marigolds repel pests. Other plants attract honeybees to aid pollination,” he says by way of example.